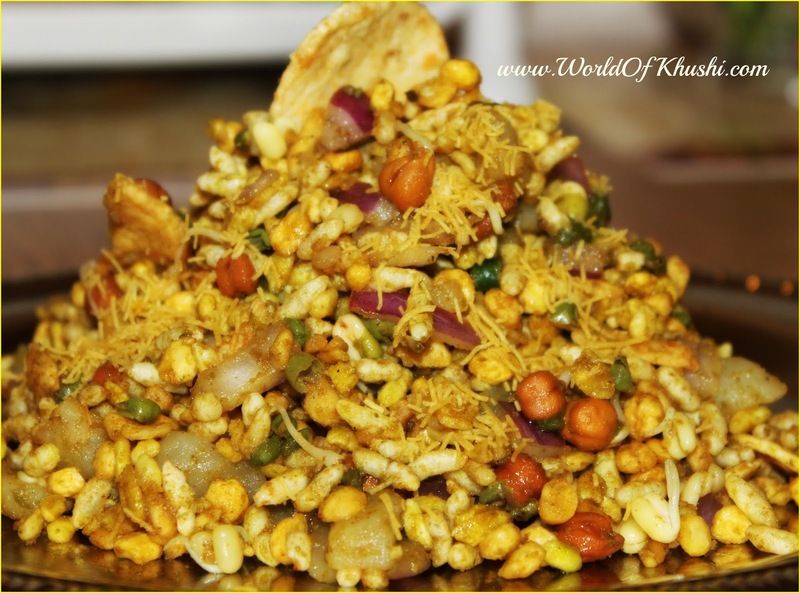 Bhel Puri or Bhel is a popular Indian snack which is quite famous not only in Mumbai Streets but across many cities. It is a light quick and easy snack. Bhel Puri should be eaten immediately after making so that it doesn't get soggy. Lets see how to make this recipe. Step 1. Mix Tomatoes, Onions, Potatoes, Sprouted Moong Beans, Chana & Green Chilies together. Add Salt, Black Pepper, Chaat Masala along with both the chutneys according to how much salty and spicyness you need. Step 2. After 2-3 min, add Puffed Rice and Thin Sev. Mix everything well. Step 3. Garnish with Coriander and Chips if you like. 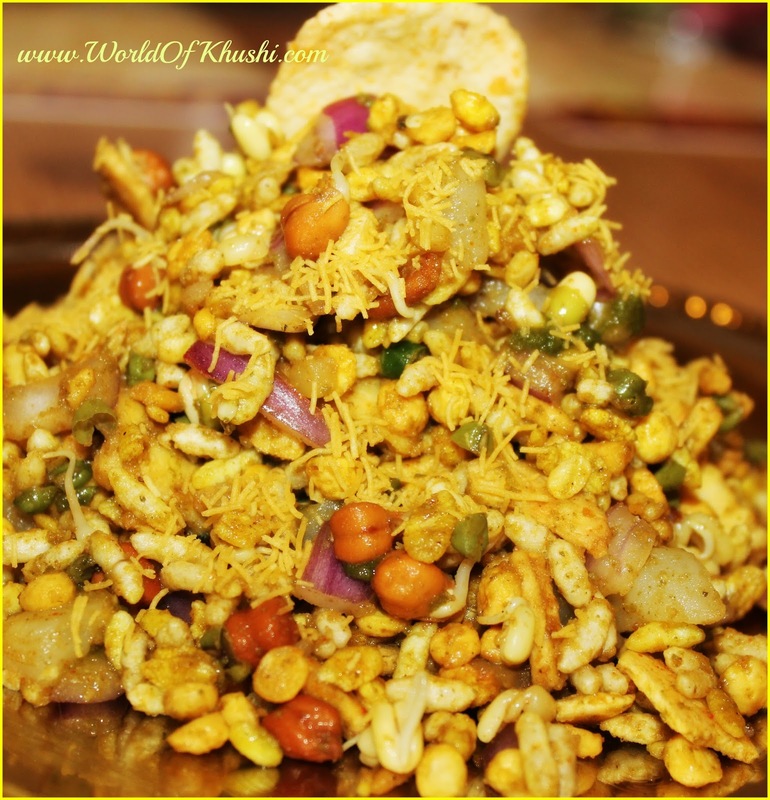 Your tasty Homemade Bhel is ready. You can add any other ingredients of your choice too if you like. I hope you have liked this simple recipe. 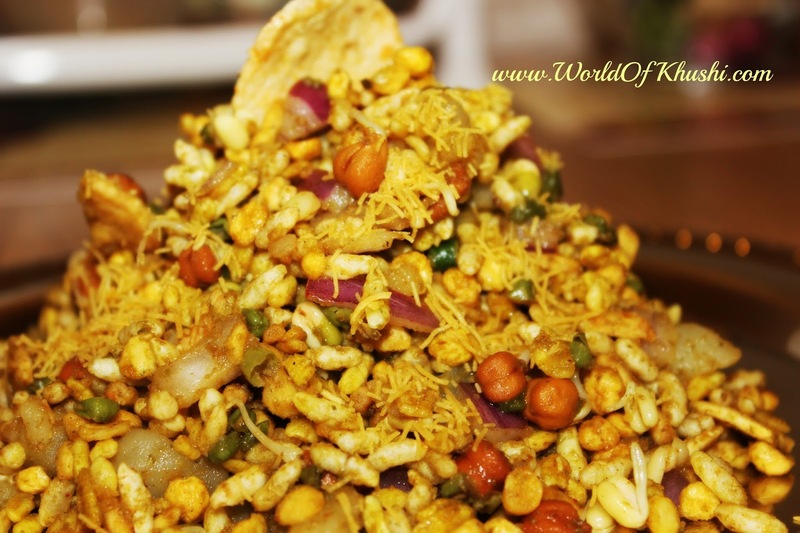 It has so many variations and definitely you can customize the above bhel as per your taste. Do share this with your friends and family. 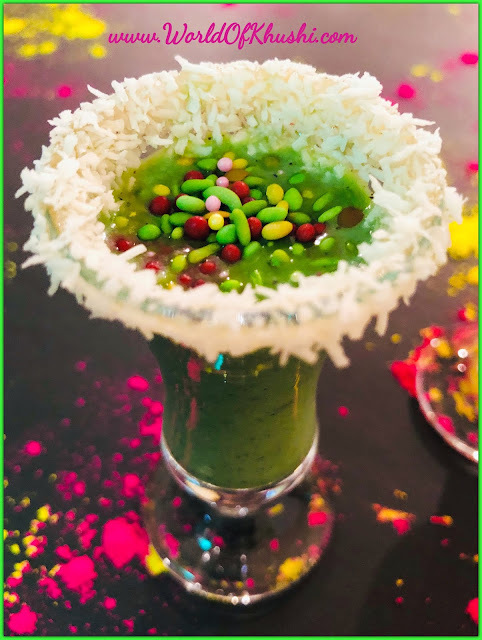 Follow us on Khushi's World Facebook Page, Google+ , Instagram and Pinterest for more Posts. I will see you in next post till then take care.